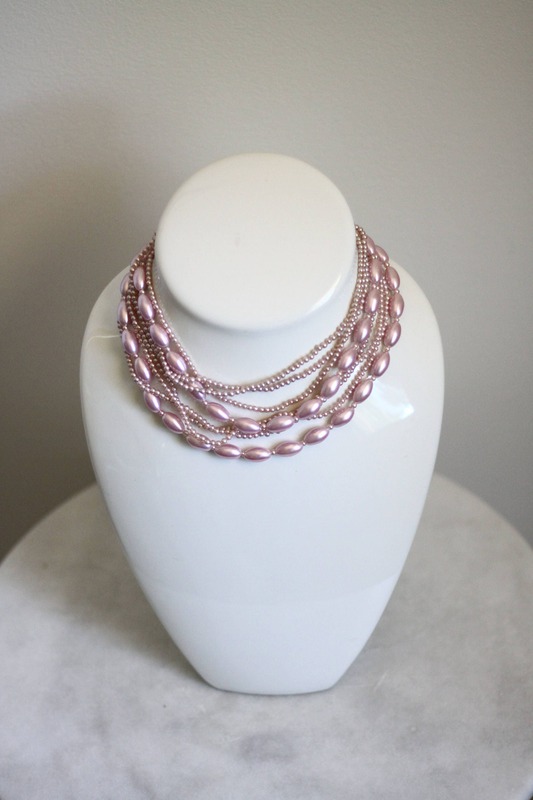 1960s light pink multi strand beaded necklace. 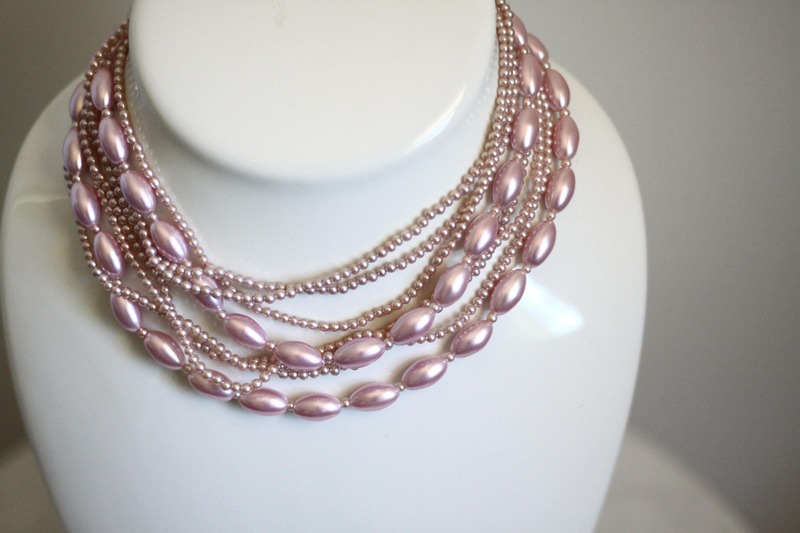 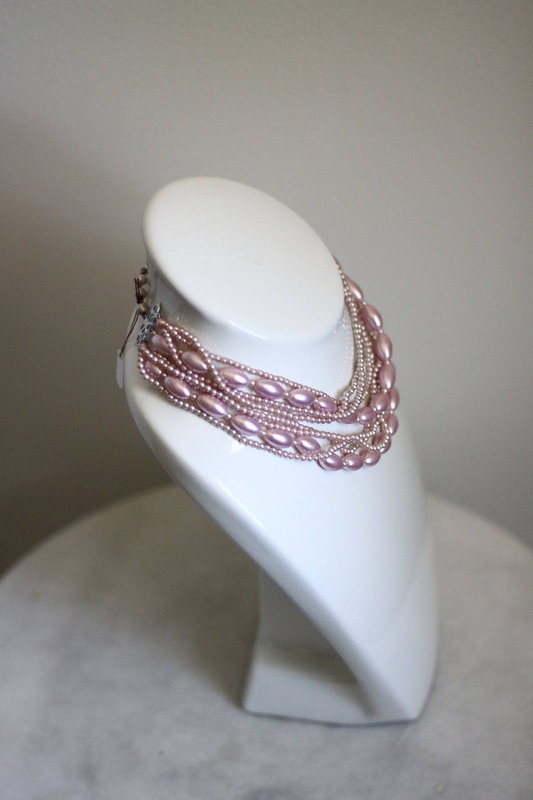 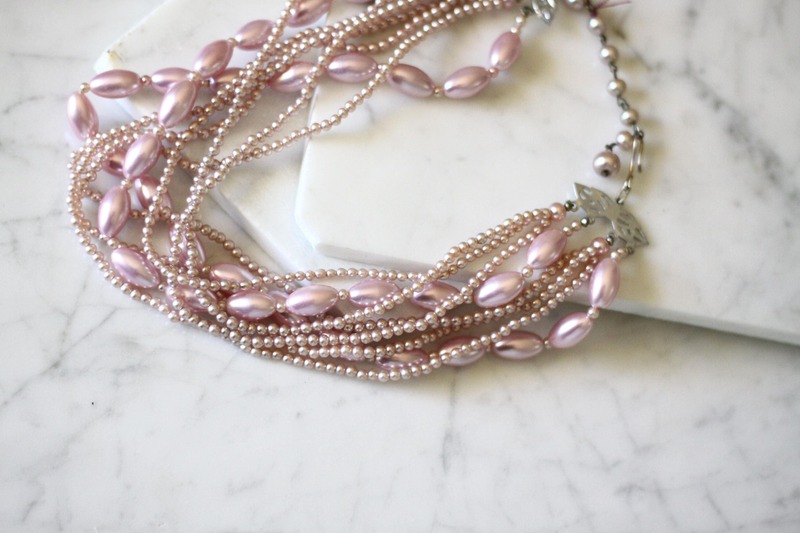 Pearly pink beads give this necklace just the right amount of shine to it. 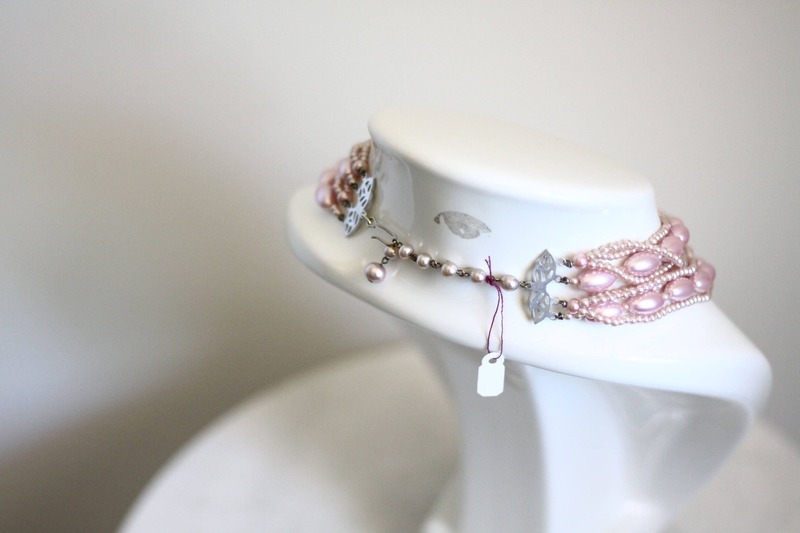 Hook clasp for closure.